Is the title more cheese than you can handle? Don’t worry! This post focuses on vintage scales decorating, not corny puns. Come find out what we are excited to show you! Being able to give an old fashioned kitchen scales new purpose makes us so happy. We hope so because that is what we have in store for you! 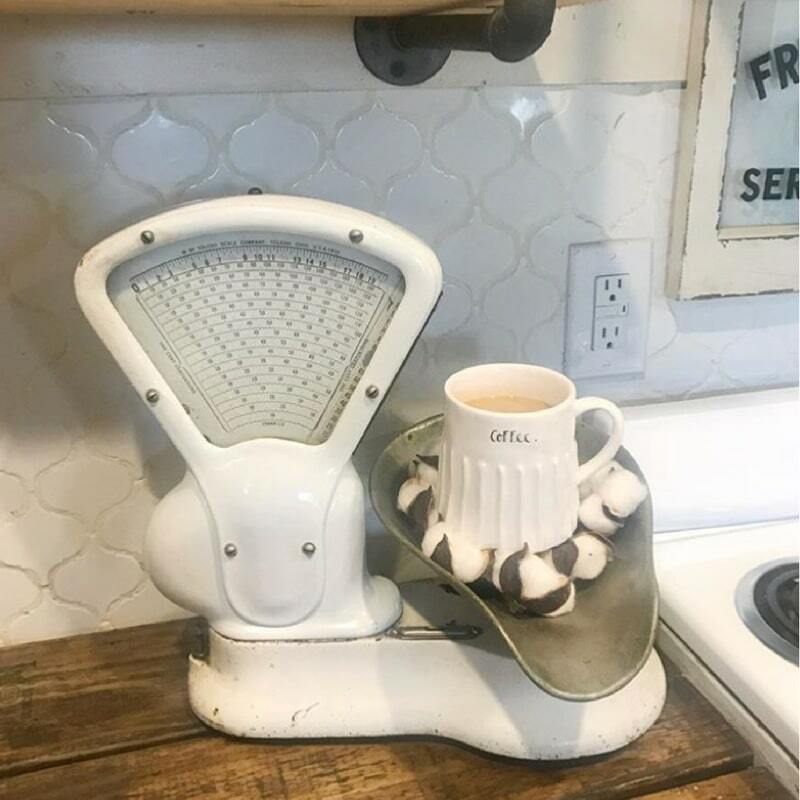 We want to show you how you can re-purpose those vintage scales in such a way, that you’ll be running to the closest thrift store to buy one if you don’t already have one. Vintage scales have so much charm. You might remember going to a penny candy store and seeing how much those irresistible goodies were that you wanted to enjoy. Or maybe you have always been fascinated with equal arm scales. No matter the vintage scales, we love how these beauties have found a new purpose in life. 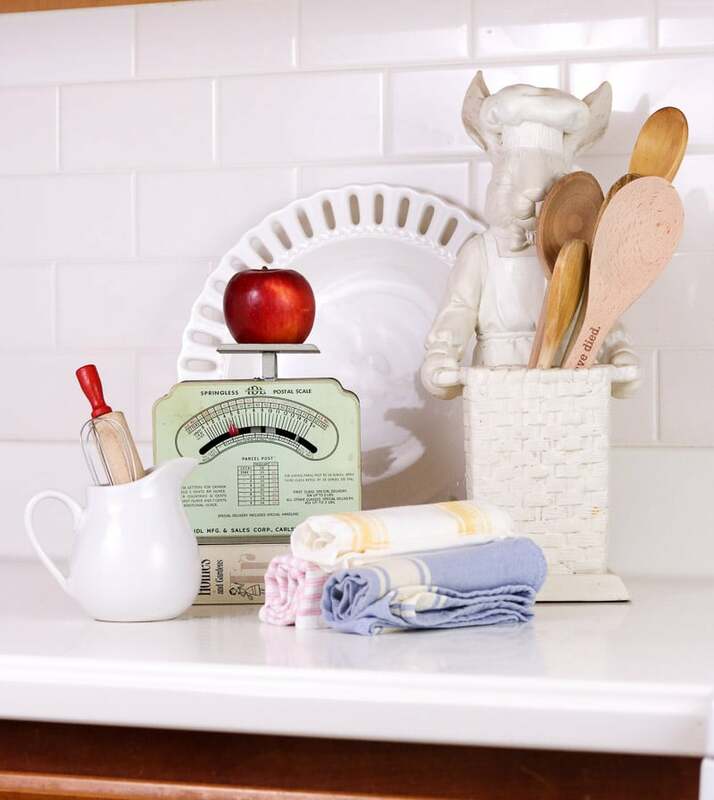 Crystal added this vintage scale in her kitchen for a trip down memory lane. It’s an old confectioner’s scale. The touch of cotton and Rae Dunn is something we absolutely love. 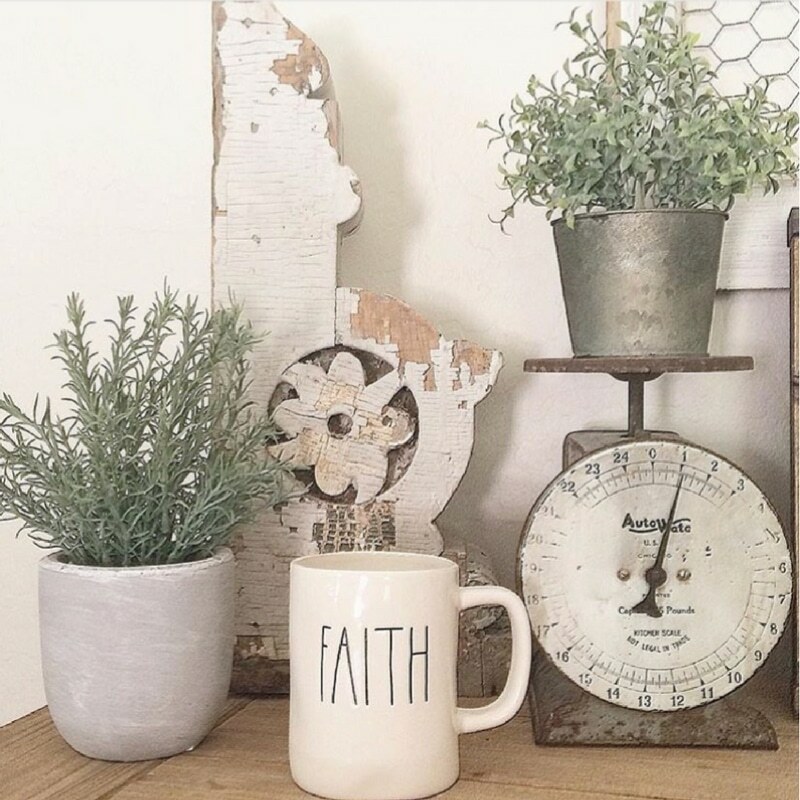 This little vignette of plants, a corbel, a vintage scale and a Rae Dunn coffee mug is total eye candy. Sweet to the eyes and the soul. Don’t you just adore a little chippy paint and rust? 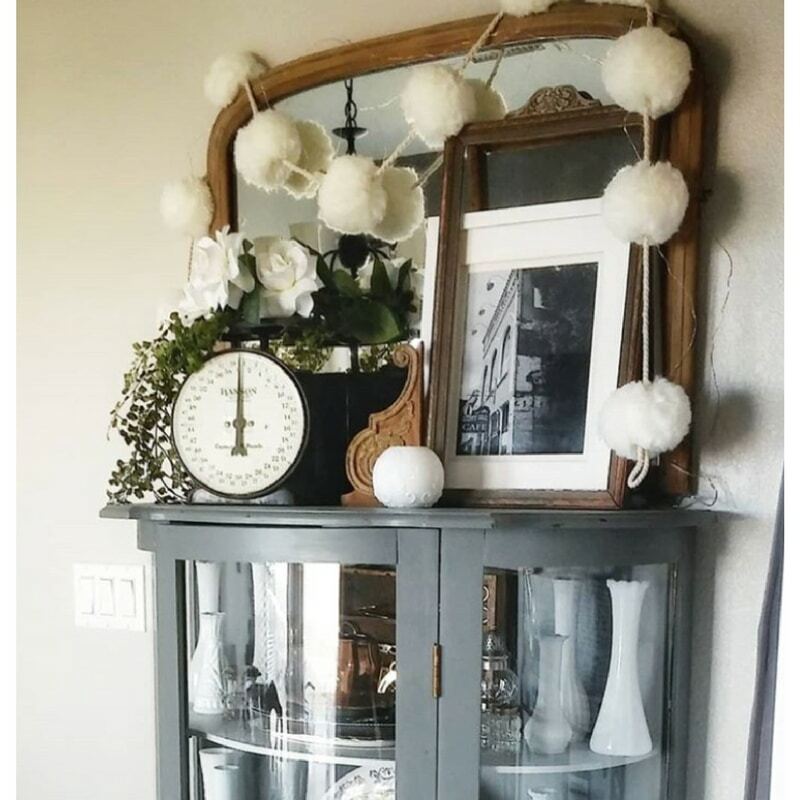 This curio cabinet displays so many sweet touches of elegance decor. Between the ivy and pure white flowers on an antique scale, to the black and white photo, a precious cottage feeling emanated. As if to say, sit and let me tell you the story I hold. 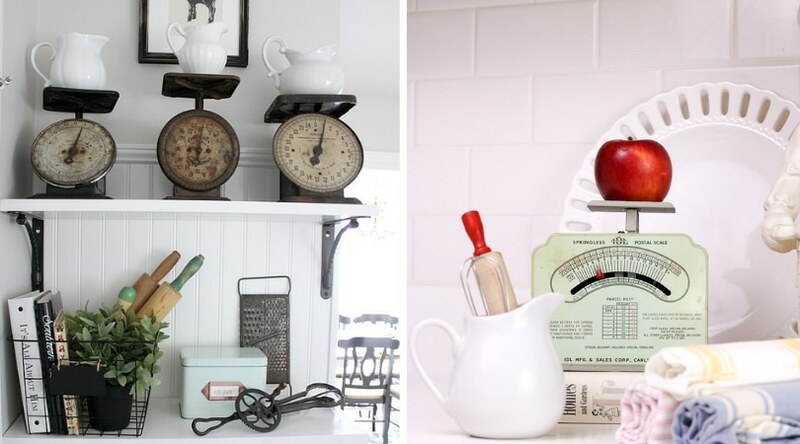 Decorating with vintage scales is not only kitchen decor. This one makes a great centerpiece on a coffee table. 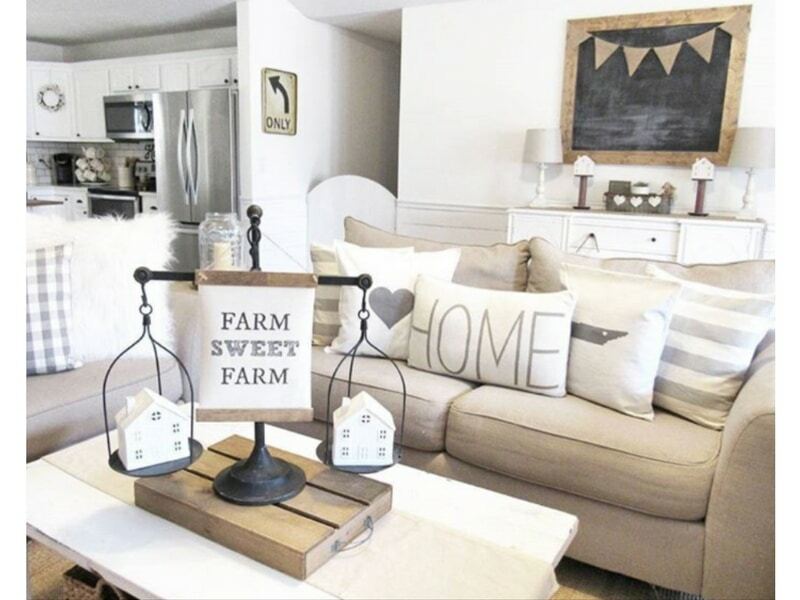 Everything about this says comfy cottage farmhouse. Sometimes you can’t settle on just one scale, so why not add a trifecta with some white as snow pitchers. We say the rustier, the sweeter the history. And let’s not stop there. Add grandma’s rolling pins, grater, and beater. 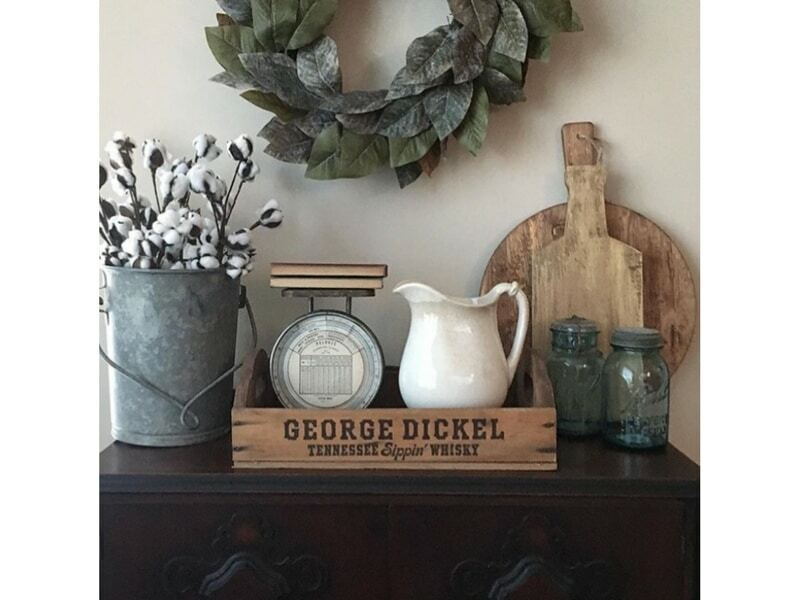 A vignette including a galvanized bucket filled with cotton stems, a vintage scale balancing antique books, with paddle cutting boards all while under a magnolia wreath, is all-encompassing farmhouse decor. We love adding cotton to home decor. If you love decorating with cotton then you will love our how to decorate with cotton post. We would also love to go shopping with Debbie and find some more great vintage treasures! Liz is all set with spring decor. 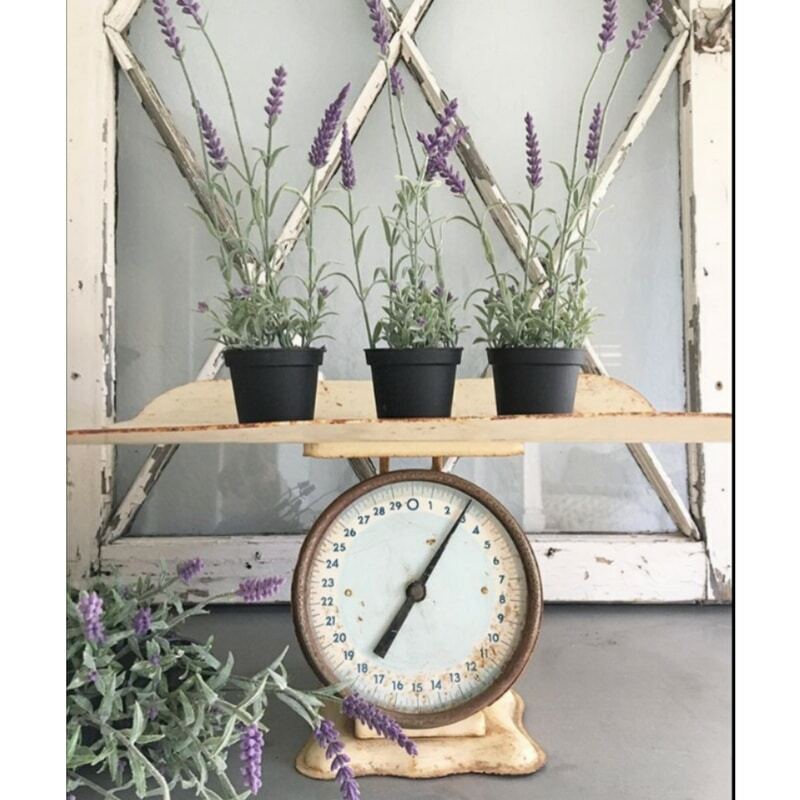 Some lavender, a vintage scale, and an old window make a gorgeous vignette. 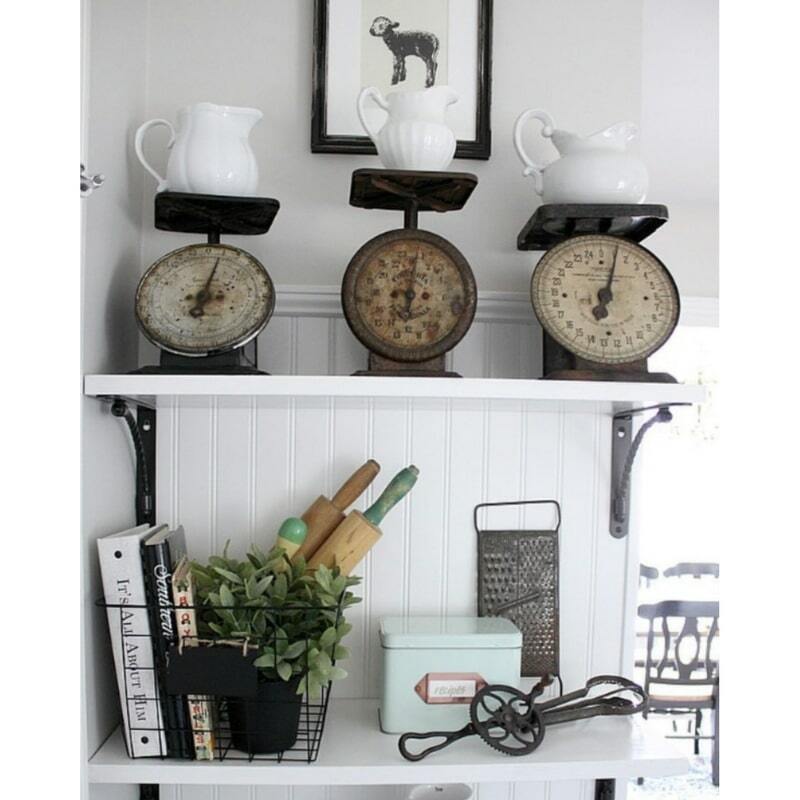 Not only does this decorative antique style scale have a new life, but it can be incorporated into your year-round decor. Do you have a vintage scale? Does it have a story behind it of coming from your grandparents market? 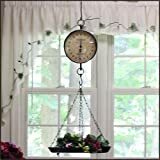 Well, if you have a vintage scale and would like to learn ways to decorate with your old fashioned vintage scale then tap decorating with vintage scales. We took this little mail scale carried it around the house to show you all the ways you can decorate with vintage scales. Now it is your turn. We’d love to hear your stories! Beautiful! I would love to get a metal bucket similar to the one in the Rusted Bliss image but with lavender in it. Do you know where I can get something like that? The lavender will need to be fake because I can’t seem to keep a plant alive! 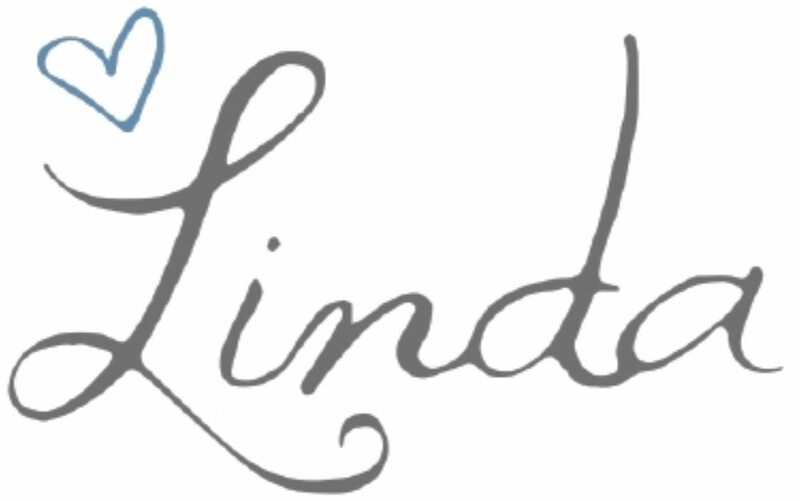 🙂 Thanks for the ideas, Linda! 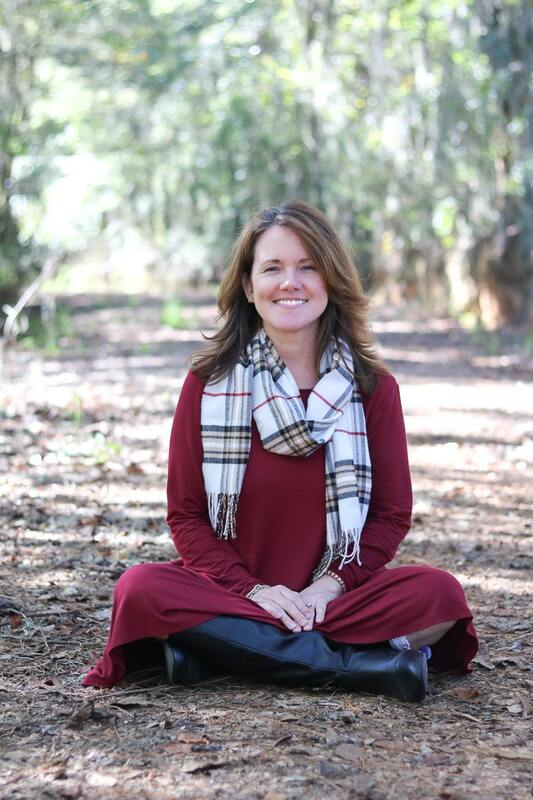 We reached out to Lauren and she bought her’s in a local home decor shop. 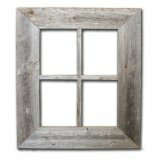 We love this one you can order off Amazon . There are lots of options on Amazon and you can find exactly what you want. 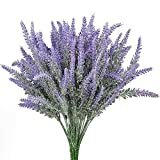 Not to mention, they have artificial lavender!